for $1,195,000 with 2 bedrooms and 2 full baths. This 2,202 square foot home was built in 2009. Special opportunity on over 30 acres just between Houston and Austin. 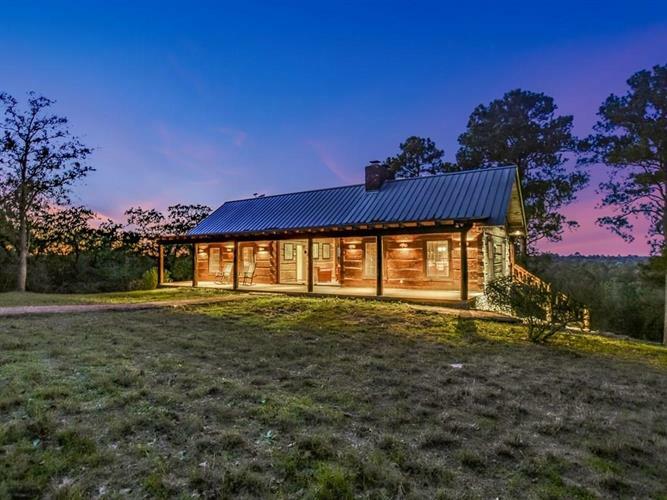 Private log cabin nestled in the woods overlooking rolling hills and gorgeous skies. The chink style, handcrafted cabin offers 2 bedrooms, 2 bathrooms, 2 living areas and a media room. Ideal for a quick weekend get-away or a quiet week tucked away from the frenzy! Lush trees, a private pond, 2 car garage and gated entrance. Recent updated septic and sprinkler system.